Following its success in Europe, South America, the Middle East, and the US, Uno de 50 has finally made its debut here in South East Asia by opening its store last May at SM Aura. An accessory brand that hails from Spain, Uno deo 50 has made its debut in the Philippine Fashion Week last Friday with a stunning show that displayed its wonderful collection for men and women. Sharing its wonderful colors of summer for this Philippines Fashion Week Spring-Summer 2015, Uno de 50 showcased a stunning number and style of adornments that would make our summer outfits more stunning and captivating. I had the chance to see their latest collection for men and women that night, and I think having them as part of our summer outfit wouldn't hurt - maybe just are pockets because these types don't come that cheap. The women's collection comes natural but dramatic. Their share some simple ones to really stunning ones that have these intricate details and layering. These are silver made with colorful stone that added such fun and young appeal to every piece. The men's collection has some leather piece that I personally think add class and personal touch in every piece. Though simpler in design, the men's collection of Uno de 50 would look great to Filipino men who loves to wear some jewelry but still keeping that manly look and style. 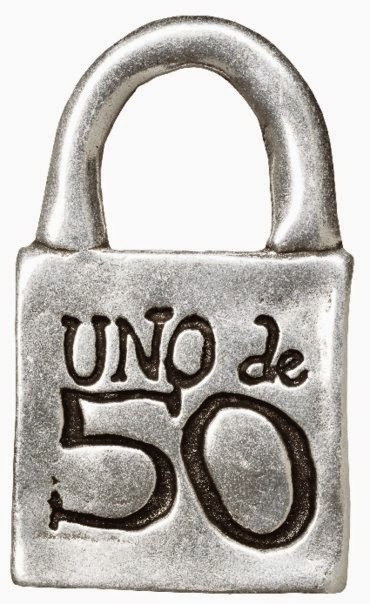 We were told that each design has only 50 pieces only, hence the name of the brand Uno de 50. To see more of Uno de 50, you can check out them out on Facebook or you could simply visit their store at SM Aura, Taguig City.